This is an optional Traxxas T-Maxx 2.5 ProGraphix Body. 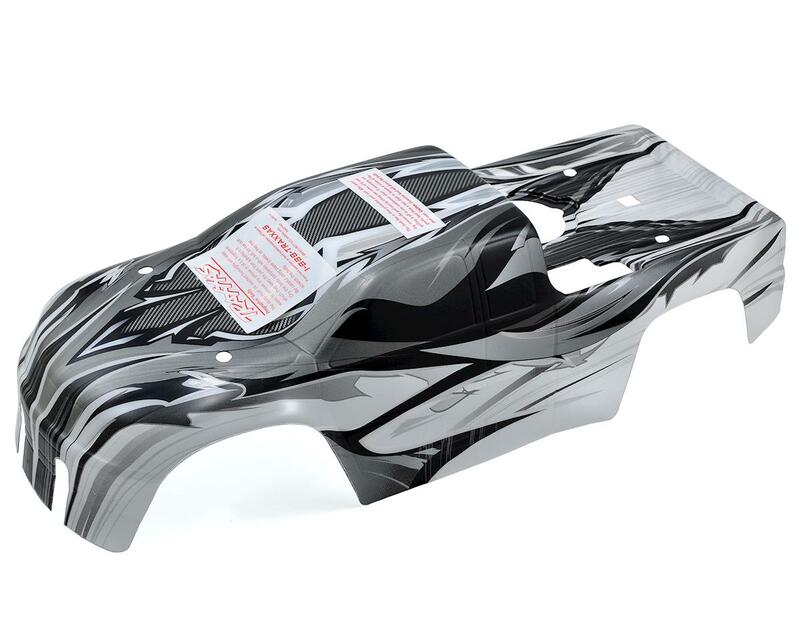 This body is only compatible with the Traxxas T-Maxx 2.5 model. With the ProGraphix process, you will never see bleeding paint or over-sprays that need to be covered up with a page full of decals. Don’t want red, blue, purple, or silver? What about florescent yellow, jet black, or even hot pink? The final color choice is yours with ProGraphix Custom bodies. This unique ProGraphix painting process creates crisp, clean lines, smooth fades, and amazing professional graphics, allowing you to stand out from the crowd. ProGraphix Custom bodies are painted with the same hot, clean graphics as the regular ProGraphix bodies, however the overall color is left clear, leaving the final coat and color choice to you! The body is pre-trimmed, supplied with black window decals, and the peel coat has been left on the outside of the body. No need to worry about masking, over-spray or paint bleeds. Just grab a ProGraphix Custom body and a can of your favorite paint color, paint the body, pull off the peel coat and you’re ready to roll!